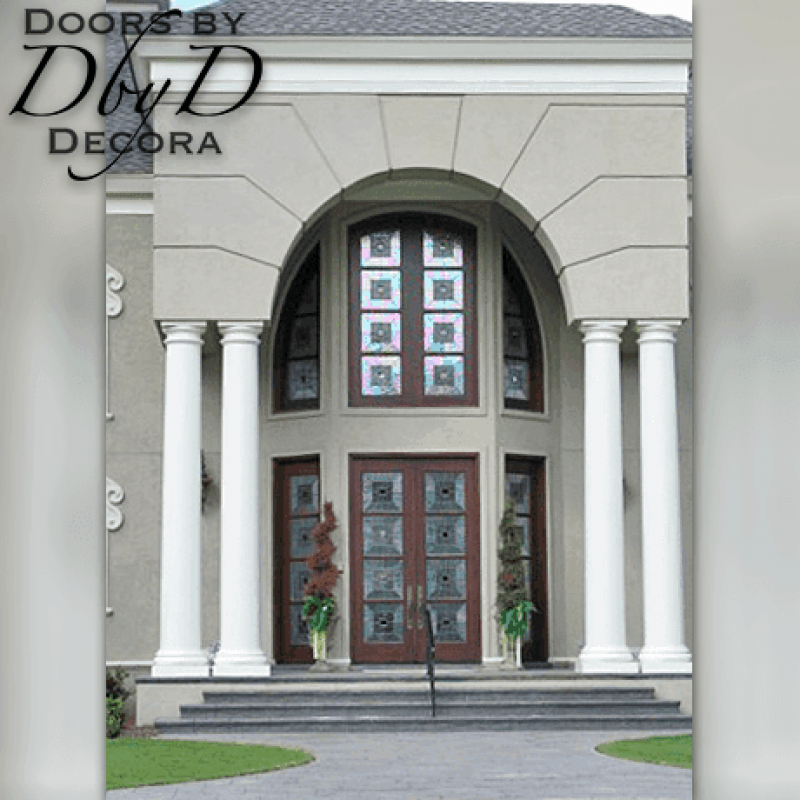 Your front doors can reflect the taste and the architecture of the interior of your home. Consequently, you want to make that first impression a lasting one. 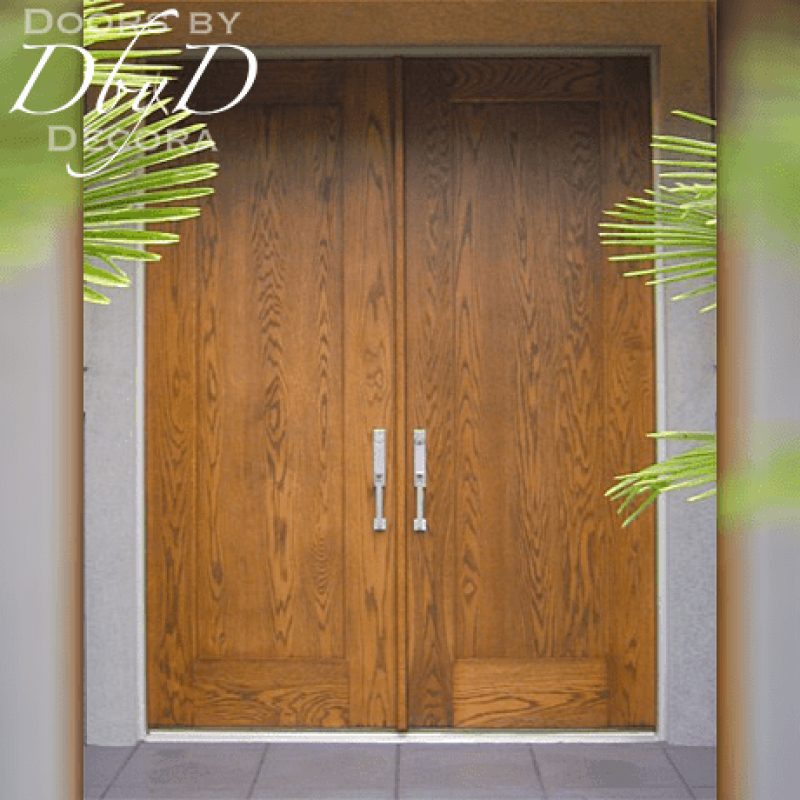 We make our modern front doors from the finest hardwoods available so your door will last for years to come. 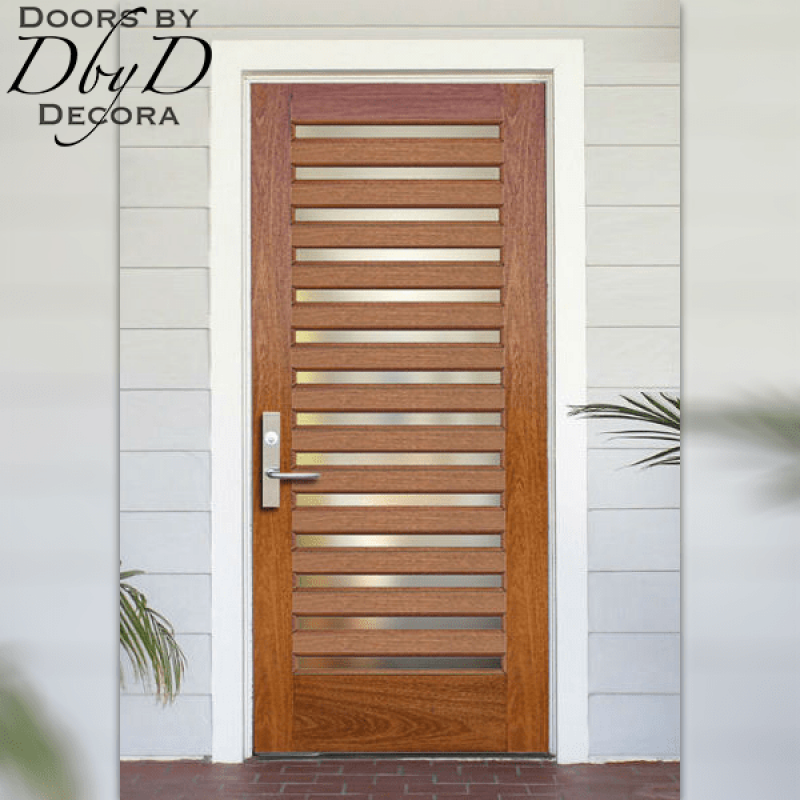 Doors by Decora’s modern front doors are a fundamental part of our Contemporary Collection. 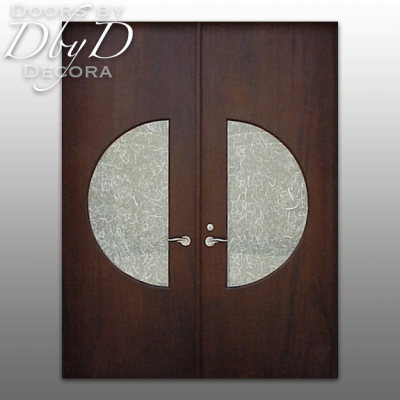 These doors are characterized by designs that are meant to stand out and be noticed. 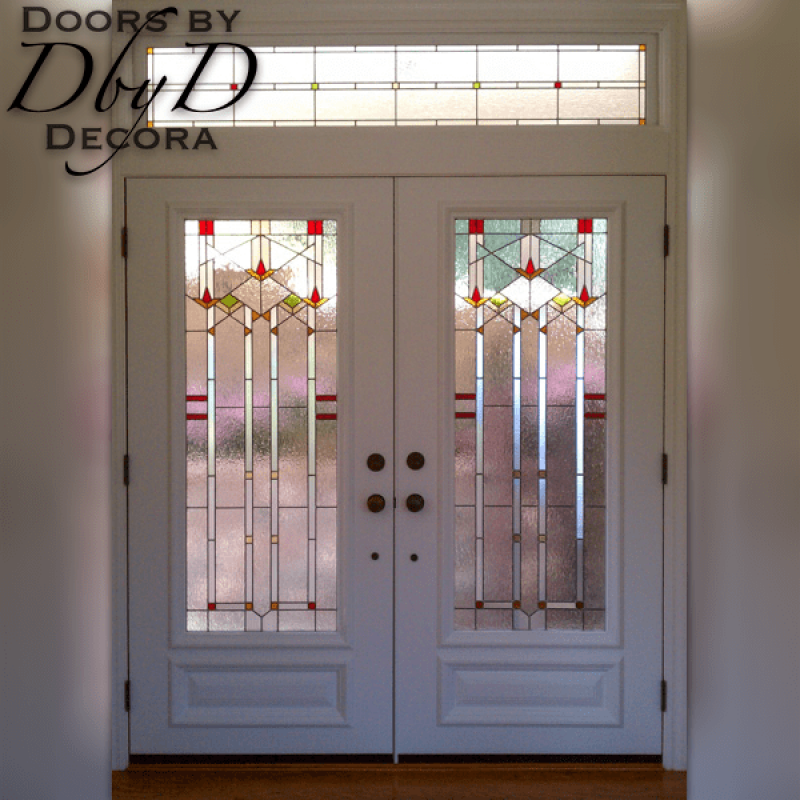 Many of these doors feature art nouveau inspired stained glass designs. 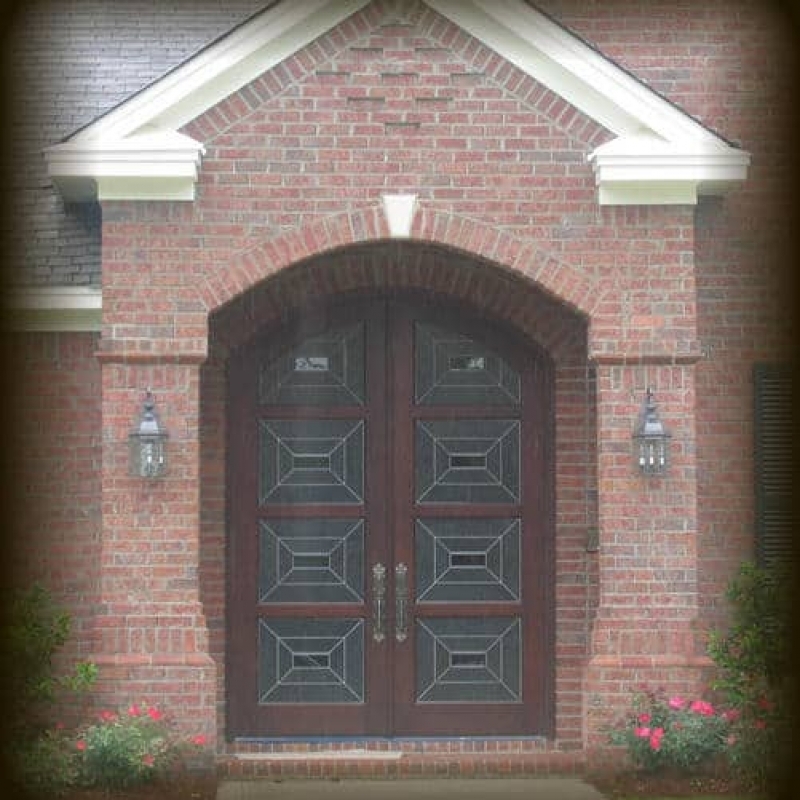 You can see a few of our favorite front doors below or View All Contemporary Doors. 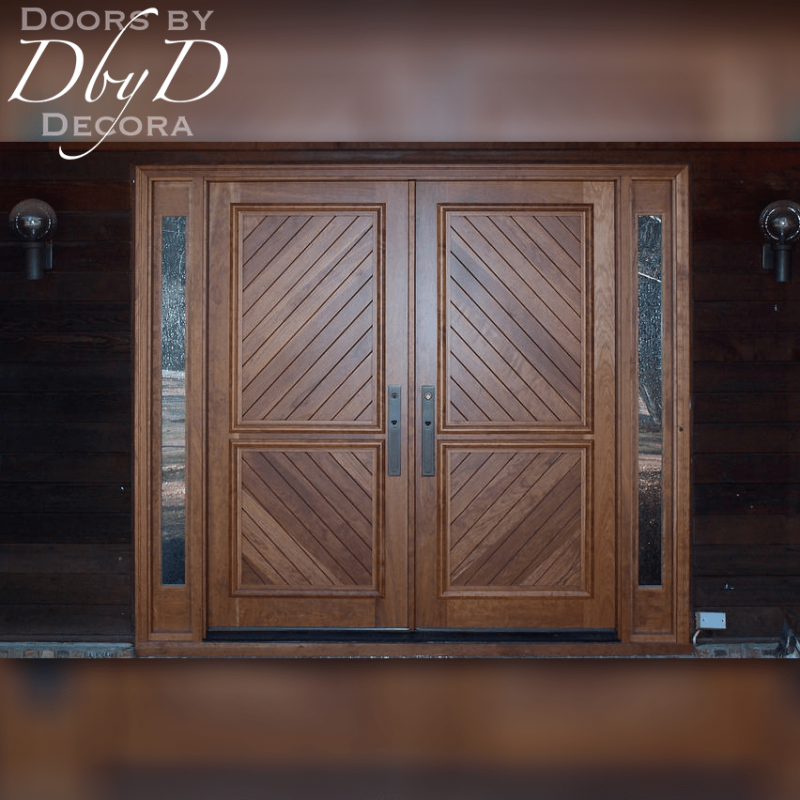 Since all of our doors are custom made, we can change most any of our design elements to make your favorite doors look more modern. 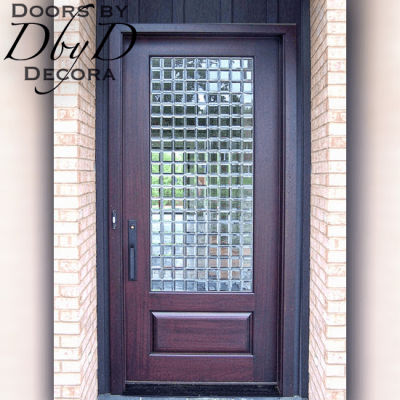 First of all, if you want to add glass to your door, we have our very own in-house glass studio. 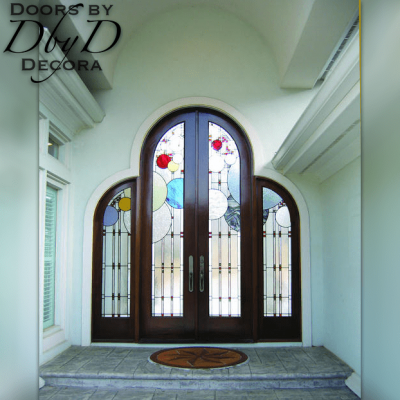 Therefore, you can custom design your door’s glass, or pick from one of our many glass designs. 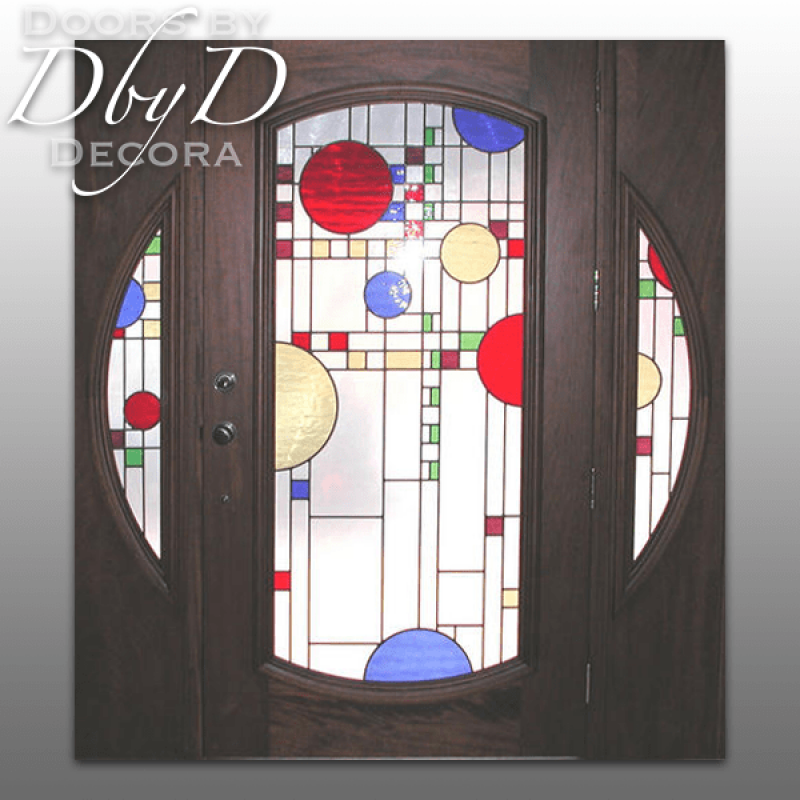 Our stained glass artisans will custom build your glass using your selections of colors and/or textures. In addition, you can also achieve a modern look by removing the traditional raised moldings and raised panels. 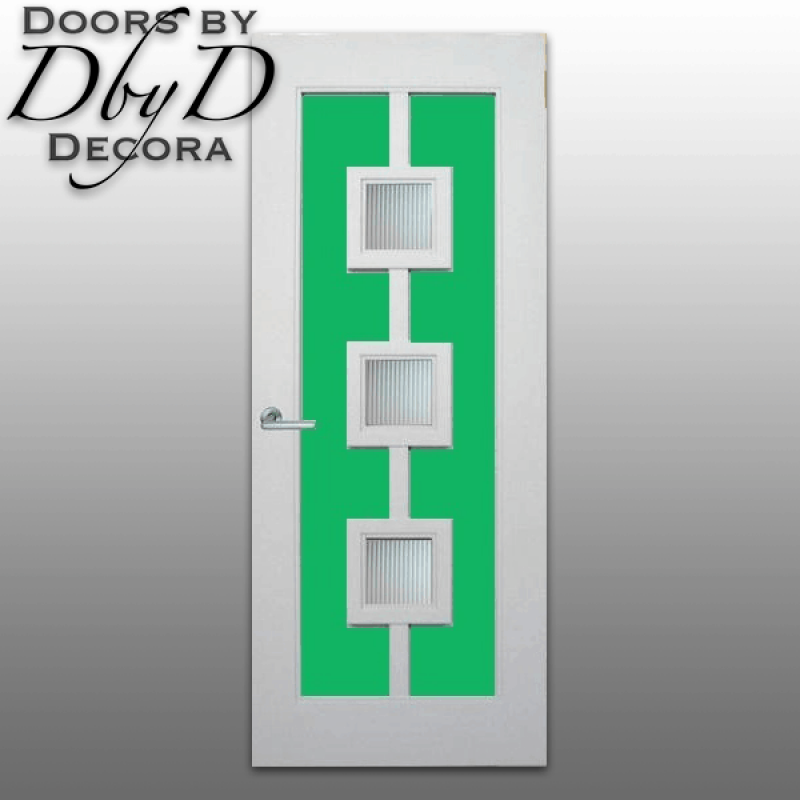 Our design professionals can recommend the use of our flat panel which gives a much cleaner, modern look to your doors. 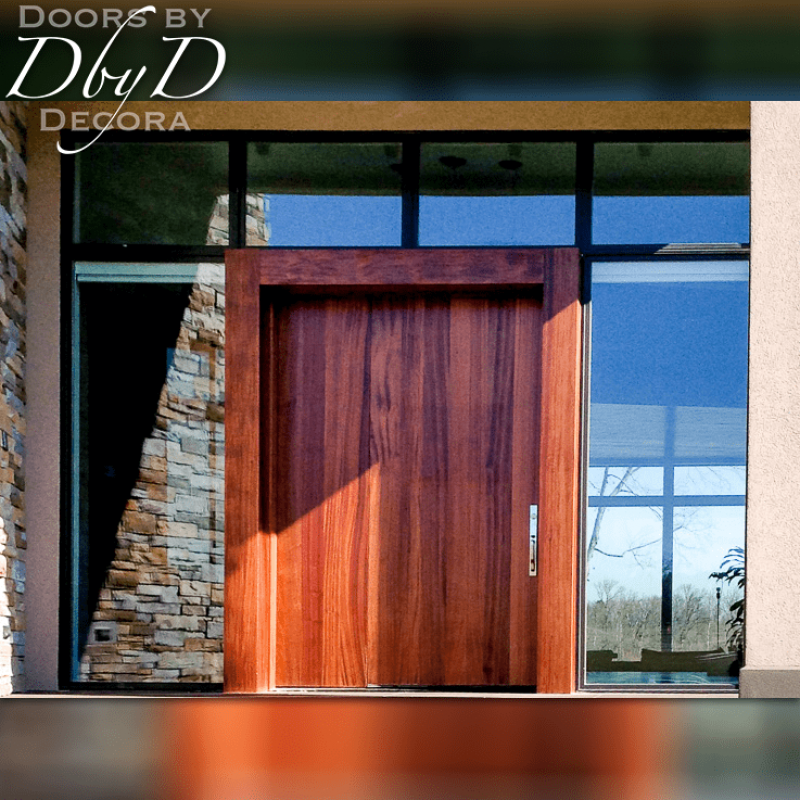 Many of these details are featured in the doors below, or you can view all of our Contemporary Doors.